Luxury yacht Nordic Star stands out for her stunning Italian Woodwork, bonus study/office/game room, ample exterior entertaining spaces. 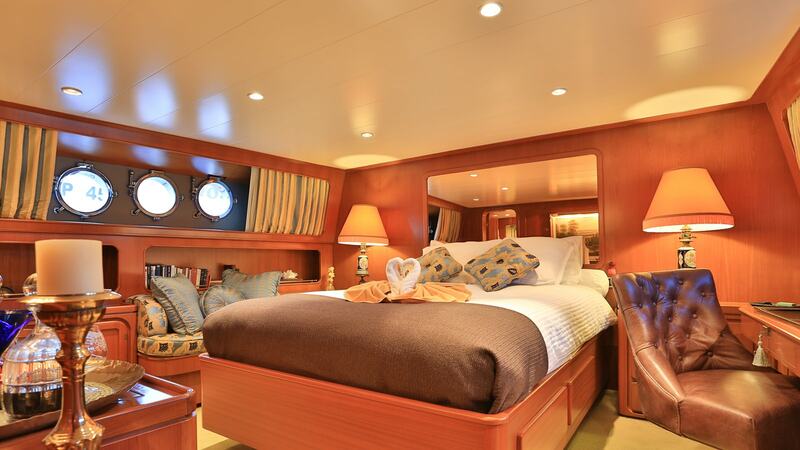 She boasts a Main Deck Master Suite and comfortably accommodates up to 12 guests in 5 luxurious staterooms. Nordic Star has a rich history that includes movie stars and more recently royalty spending time onboard. Read full article here. Find more CRN Yachts here! 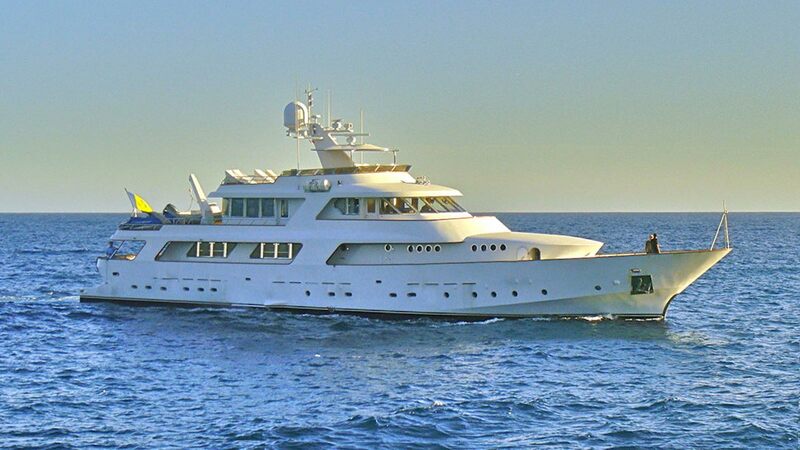 Nordic Star features a bonus entertaining space for owners and guests on the main deck to be used as you desire: a private study and library, office or an inviting game room. A particularly popular feature for owners looking for some privacy, Nordic Star features a spacious and luxurious Master Suite on the Main Deck. 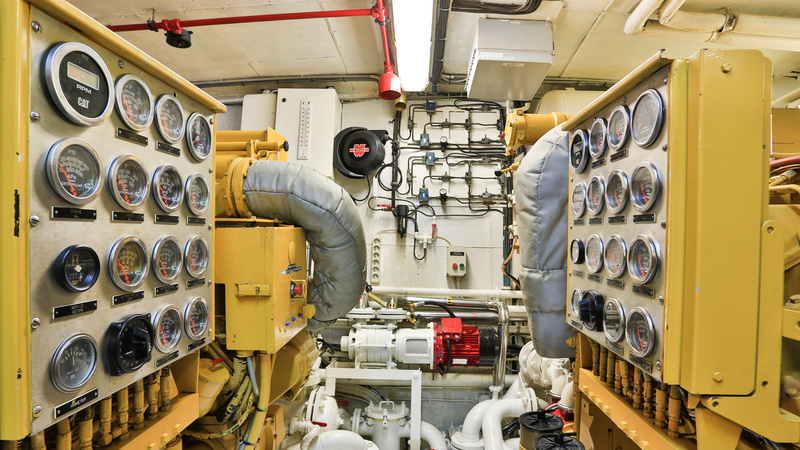 Nordic Star has a vast range of 3,000 nautical miles, is capable of speeds between 12-15 knots, boasts Caterpillar engines and zero speed stabilizers. 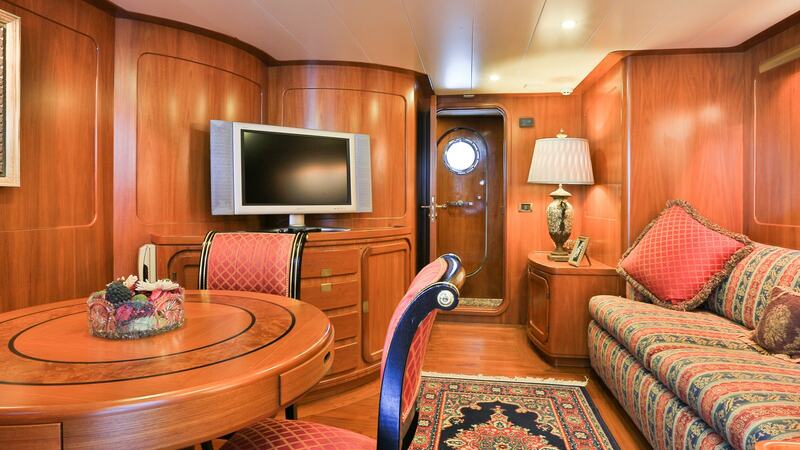 Step aboard Nordic Star and take a 360° tour of her timeless interior.